My favourite half god is back! Check out the first trailer for Logan Lerman's Percy Jackson & The Sea of Monsters. The highly anticipated sequel to 2010's Percy Jackson and the Lightning Thief, we follow Percy and his half-immortal buddies to the mythical land known as Sea of Monsters (conveniently located at the Bermuda Triangle) to retrieve a golden fleece that is essential in protecting their home, Camp Half-Blood. The trailer looks pretty good but I could be bias as I am a sucker for anything with Logan Lerman in it. 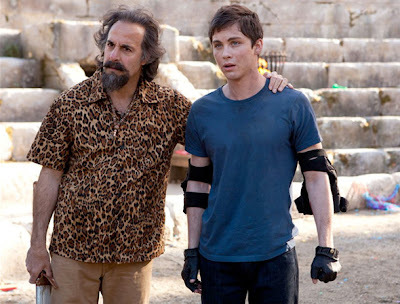 Percy Jackson & The Sea of Monsters comes to theaters on August 16 this year. Check out the trailer after the jump.